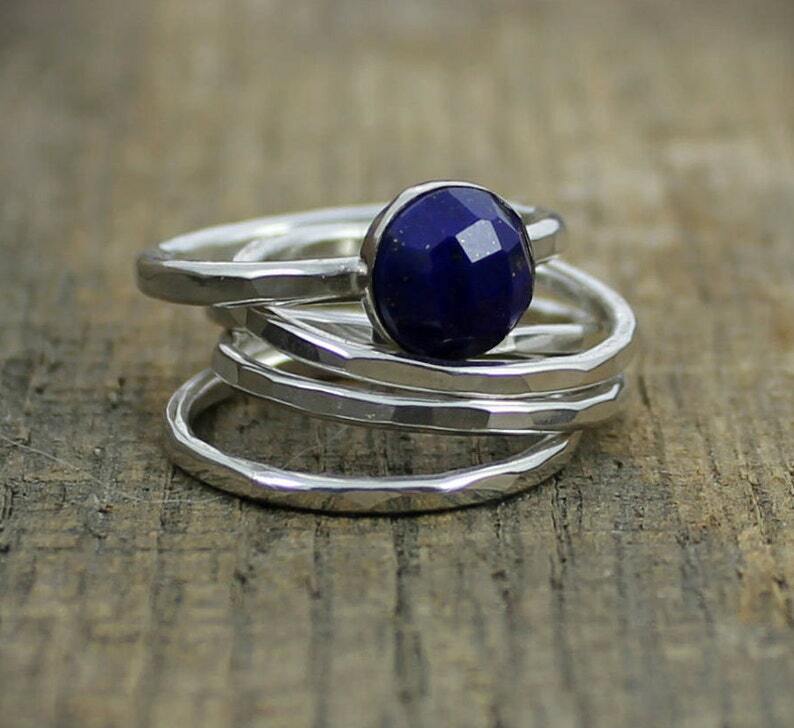 Stacking rings are all the rage, every woman should have a set in their jewelry box stash! They mix well with others, and can be helpful to hold another ring in place that may be a bit too large for your finger. Please reference photos in the listing to see the differences in oxidized vs high polish. These are MADE TO ORDER in my home studio with lots of love!!! Due to the process of made by hand pieces, each one will be slightly different. Please allow for these subtle differences, as it is what makes handmade art truly unique! I’m so so happy with my purchase! Thank you so much!